When a young Henry B. Eyring would complain that things were hard, his mother would advise him, “If you are on the right path, it will always be uphill.” To choose the Lord’s way is to choose higher ground. "The Lord is anxious to lead us to the safety of higher ground," writes President Eyring, "away from the path of physical and spiritual danger. His upward path will require us to climb." 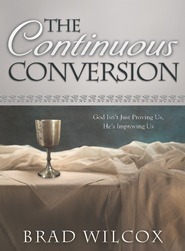 In this remarkable book, he explains some of the ways in which we will accomplish that upward journey, including starting from a strong foundation, learning to help others, and finding strength in adversity. "Let us do whatever is required to qualify for the Holy Ghost as our companion," President Eyring urges, "and then let us go forward fearlessly so that we will be given the powers to do whatever the Lord calls us to do." Filled with a revered leader's clear insights and sound counsel, Choose Higher Ground helps readers gain access to the power promised by the Lord to all His faithful disciples in the latter days. Henry B. Eyring was called in 2008 as First Counselor in the First Presidency of The Church of Jesus Christ of Latter-day Saints. He has served as a General Authority since 1985, when he was called to serve in the Presiding Bishopric; he was sustained as a member of the Quorum of the Twelve Apostles in 1995 and as Second Counselor in the First Presidency in 2007. President Eyring holds a bacherlor's degree from the University of Utah and master's and PhD degrees from Harvard University. He worked as an associate professor at the Stanford Graduate School of Business and was president of Ricks College from 1971 to 1977. He also served as commissioner of Church Education. He and his wife, Kathleen Johnson Eyring, are the parents of six children and grandparents of twenty-eight. After reading, well listening to the Biography of President Eyring you can gain a better appreciation for these timeless talks given on various stages such as General Conference or @ BYU, BYU Idaho or Hawaii or other places he has shared his wisdom and knowledge. He definitely takes you to higher ground with his love and testimony of the Lord Jesus Christ and of our Heavenly Father. It's a good listen if you are a PLUS member. Whatever may be happening in your life right now, I know that you will be strengthened as you read the pages of Choose Higher Ground. General Conference Weekend is the perfect time to review Choose Higher Ground. This new book by President Henry B. Eyring, First Counselor in the First Presidency of The Church of Jesus Christ of Latter-day Saints, is a book full of words of hope and promise. The main feeling from these books, is one that we can receive power from on high to live each day drawing closer to the Lord. With the choices we make, we can either draw closer to The Savior or pull away. Whatever may be happening in your life right now, I know that you will be strengthened as you read the pages of Choose Higher Ground. Henry B. Eyring's words were influenced by the Spirit. Listen to his counsel, and I know that you will feel more happiness and peace in your life. Anything by Elder Eyring is going to be good, but this was falsely represented! I was disappointed to get this book only to find that it is just a compilation of talks already given. I could get these for free! I love Elder Eyring and his talks...and that is why I already had listened to, read and re-read many of the talks. The book overview gave a very different impression. 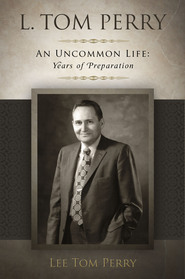 Deseret Book should make it clear that this is a compilation of talks. With almost each Chapter I have felt that it was just for me and it was what I needed..or for another's need...I felt the power and understood the Atonement better, which has touched my soul and has helped me to make good choices as He said " You make choices every day and almost every hour that keep you walking in the light or moving away toward darkness"
My favourite chapter was The Power of Deliverance. Yes, the path is uphill...but you are not alone in walking it. Wonderful stories to help you understand what is needed in this life for you to be happy, and encouragement to help you know you can do it! I have always loved Henry B. Eyring so I was thrilled to have the opportunity of reviewing one of his outstanding books. I've met Eyring a few times on my mission as well as at BYU. He is a pretty remarkable individual and I look up to him. In his book, Choose Higher Ground, Eyring talks about building a strong foundation. He also taught that using the word "someday" can be very dangerous. We shouldn't procrastinate and put off important and basic Gospel principles. Of course, I'm not perfect and I fall short of the whole "someday" word. However, Eyring helped me see the importance. His voice was definitely present in this book and I enjoyed the personal stories that not only uplifted me but helped me see the important principle(s) being taught. Eyring is extraordinary and I enjoyed reading his testimony over and over again. I definitely recommend this book to everyone. It makes a great gift for Mother's Day or Father's Day as well! This is a very powerful must read!! Here are a couple of the many quotes I love from this fantastic book... "Just the way you smile or the way you offer to help someone can build their faith." Another one I love... "You can have the utmost assurance that your power will be multiplied many times by the Lord. All He asks is that you give your best effort and your whole heart. Do it cheerfully and with the prayer of faith. Your efforts will be magnified in the lives of the people you serve." Choose Higher Ground is such an inspiring book. I didn't want to put it down when I started reading it. President Eyring really makes you think and realize how much the Savior is there to help us return to live with Him. I truly am thankful for the humbleness of President Eyring he is amazing! His words make me smile and feel so uplifted. This is a very powerful must read!! I received this as a free ebook. It is a wonderful compilation of some of Pres. Eyring's talks and encourages us to listen to the promptings of the Holy Ghost when seeking guidance in our lives. By so doing, we will be able to stay on the right path and improve our lives and influence the lives of those around us. I received this as a free ebook. I loved reading it and plan to read it again. It is a wonderful compilation of some of Pres. Eyring's talks reminding us that if we will listen to, and heed the promptings of the Holy Ghost, it will help us become closer to our Heavenly Father and live happier lives. Empowering food for thought, rather, action! Elder Eyring is one of my favorits and this book is no exception. Wonderful and uplifting with a great education at the same time. So easy to read on a tablet with thi app. Definetly recommend! Although I enjoyed President Eyring's new book, it seemed to be a collection of his thoughts from earlier books. 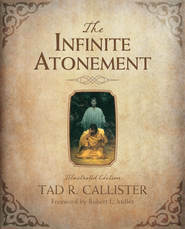 I have two of his books, "To Draw Closer to God" and "Because He First Loved Us," plus those two books on CD. Perhaps because I have already read those books and listened to the CDs many times, much of this book seemed familiar,especially the personal stories. Still wonderful President Eyring insights though. Wonderfully inspiring and edifying. It is a must read. I feel it is a message to ponder and consider and incorporate into one's life. President Eyring's writings and discourses are, for me, always thought provoking, inspiring, and deeply profound. 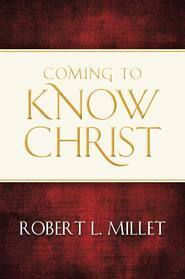 This book is a collection of his more recent addresses. On one hand, I remembered most of them and so this book felt more like a review. On the other hand, it was powerful to read them all together, noting the themes that carried through several of the addresses and how the ideas from one talk were further expanded in others. It is definitely worth a thoughtful and careful read. Disclosure = I received this as a free ebook and am grateful. 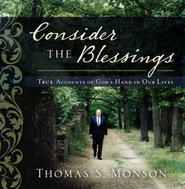 The Deseretbook app makes reading and syncing ebooks so easy and portable. This collection of addresses from Henry B. Eyring are very articulate and well-thought out. Seeking the best life experience is a choice. Elder Eyring shares with such compassion. You will feel the Savior's love in each chapter. I appreciated the reminder that "If you are on the right path, it will always be uphill." Accepting that a great life was not intended to be easy calms my soul to endure it well. The hard things in life create a space to appreciate and savor the joys of life. I recommend this book for anyone who needs to feel understood. Elder Eyring shows how the higher ground of making and keeping covenants is a choice worth making. Worth whatever it takes! I received this as a free e-book! It was wonderful! 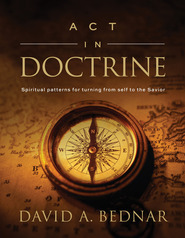 The sweet and profound testimony of President Eyring is felt through out the whole book. As you read, it's as if he is right there talking to you. I LOVE that! From the very beginning this book is inspiring, it truly beckons one to Choose Higher Ground.